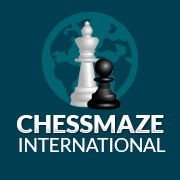 The games from Rounds 1 and 2 are now downloadable from the Games page. 30 players took part in this competition held at Llandaff Memorial Hall, Cardiff on 25th November. This weekend is the first time we have used this venue and it proved to be extremely popular. The Welsh Chess Premier League commenced on 4th November with three very close matches all ending with the score 3.5/2.5. Cardigan produced a very strong top board clean sweep to beat Nidum. Cardiff beat the new team, The Full Ponty, thanks to wins for Alex Bullen and Tom Brown. DON’T FORGET THE BLITZ ON SUNDAY, (25th NOVEMBER) AT LLANDAFF MEMORIAL HALL. Please email Kevin if you are playing. Held at the Emlyn Café at Tanygroes on the 27th/28th October the event was reasonably well attended by 14 Dyfed players. Please note that the games can now be downloaded from the Games page. Gerry Heap won the West Wales Open with 4.5/5. Adam Musson was 2nd with 4/5. John Underwood, Sven Zeidler and Joe Fatallah tied for 3rd with 3.5/5. Kimberley Chong won the West Wales Major with 4.5/5. Tomasz Miga and Andrew Thomas tied for 2nd with 4/5. The games from the 2018 Welsh Seniors Championships are now available on the Games page. The ‘missing’ games are from byes. The 2018 Welsh Seniors was won by Dai James. The South Wales Autumn Blitz was won by Peter Bevan.